Although raised in Northern California, one of Gia's great loves is New York City and the myriad array of diverse life and opportunities for human connection it presents. She treats patients, teaches, and performs, with relentless devotion and attention- bridging her vedic and tantric yogic practices with her life as a theatre artist and studio owner. She received her BA in psychology & English from NYU, honors in classical voice & piano from the San Francisco Conservatory of Music, with further premedical studies at Columbia University & Hunter University, actors training at The New Actors Workshop, and then continuing yogic studies. Gia also spent some intermittent years working in neuroscience at NYU Medical Center. As a youngish teacher, even with years of experience, Gia considers herself very lucky to have gained the iota of knowledge she has thus far. The process is not always painless, nor would she ask for it to be. She lives her life openly, patiently, and joyfully, constantly aware of the intricate, eternally forming and unforming web of elemental interaction. If her life is nothing but an example of a balanced, joyful human being, navigating and bathing in the sea of prakriti (simply put: material existence); that will do. TEACHING Gia has been teaching piano, singing and acting to children and adults for 25 years. Since 1998, much of her personal ritual of study has been devoted to practicing and then teaching meditation, yoga, healing and the Vedic sciences, in which she finds a deep confluence with her life work. Her yogic teaching practices are an interweaving of an array of studies from Vedic texts and healing modalities, informed by practices of meditation, mantra, japa, Ayurveda, Vedic astrology, yogic living and asana practices. 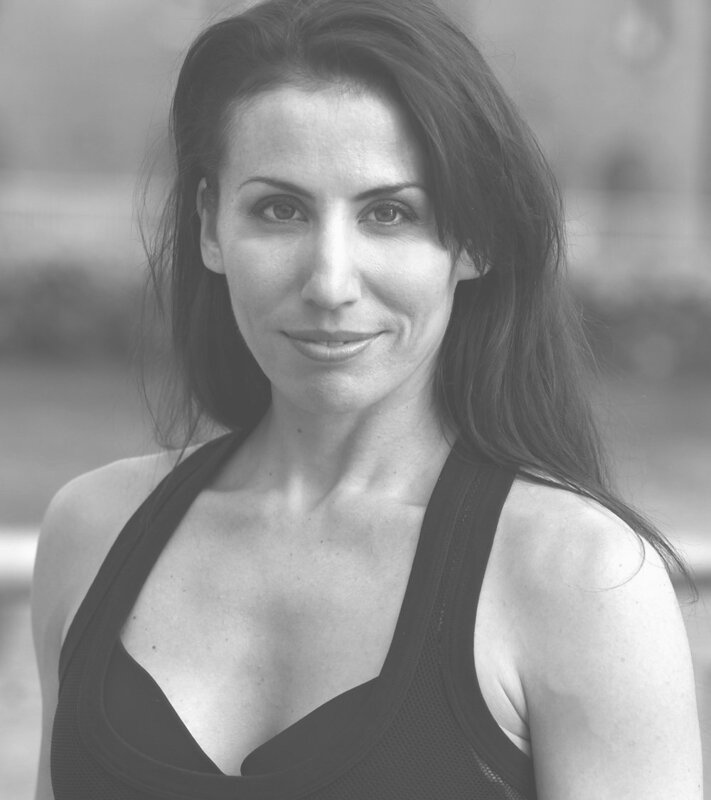 She focuses on female-based practices, as well as therapeutic yoga, helping former athletes reform and rebalance their bodies, minds & hearts in recovery from injury, trauma, and illness– as well as addiction in all forms. Gia considers herself indebted to all her teachers for their love, support, and invaluable sharing of knowledge and secrets (as Bob Fosse said: "always part fun and part naughty"). These teachers include theatre dance masters Jeff Shade, Diane Laurenson, and Dana Moore- each of whom were mentored by Bob Fosse. Also to Andrejs Gailis of Shiva Centre in Latvia; and her continuing Ayurvedic mentor, Arun Deva. She currently studies Āyurveda, marmayoga, tantra & traditional female-based practices with Dr. Sumit Kesarkar of NLAM (National Library of Ayurvedic Medicine) -- Āyurveda with Dr. Bharat Vaidya at Āyurved Sadhana -- the classical Ayurvedic text Astanga Hrdayam with Dr. Sanjay Pisharodi of Purnarogya -- and jyotiṣa with Pandit Sanjay Rath of SoHamsa Śrī Jagannāth Center In New Delhi. Gia’s most beloved teachers are her parents John and Audrey Krahne who have showed her that the true path is unconditional love. THEATRE Began as a musical theatre performer & gifted classical pianist. Early training in classical voice & piano culminated at the San Francisco Conservatory of Music, where she studied opera, musical theatre and piano with Hermann LeRoux and John McCarthy. Favorite traditional roles from that era include Kathy in Company, a Player in Pippin and Papagena in Die Zauberflöte. In 2010, she presented her solo dance piece, The Radiance, in collaboration with the kirtan artist Leraine Horstmanshoff and bhakti yoga teacher/owner of Shiva Centre, Jami Larson, in Salt Lake City. An ecstatically danced journey inspired by husband & wife team Dr. Lorin Roche & Camille Laurine's poetic interpretation of the ancient tantric text Vijñāna Bhairava Tantra: THE RADIANCE SUTRAS (video link). In recent years, she acted with The Living Theatre in Korach and Seven Meditations on Political Sado-Masochism. After meeting at The Living in 2010, she fell in love with and joined visionary director, teacher, composer and actor Carlo Altomare in re-establishing The Alchemical Theatre (1981-). Their first collaborative effort, Pure War / The Madness of the Day, part I of the trilogy Deus X Machina, was performed by the resident company of actors in December 2011. In addition to being a company member and manager of The Alchemical Theatre, Gia is a former dancer with General Mischief Dance Theatre, with Artistic Director Emily Vartanian. She performs mostly in New York City throughout the year with these groups and other independent collaborations. THE ALCHEMICAL Current owner and artistic director of Alchemical Studios at 104 West 14th St., which she runs with Carlo Altomare. The Alchemical is a seven beautiful white-box studios on three floors. where artists can engage in the research & development of new works, teach classes & workshops, and share their work in public performances. We are committed to developing the social potential of performance, and actively foster a real discourse between artists and the public. Since we regard the theatrical experience as a creative public assembly; the audience is an important partner in fulfilling our mission. Our events tend to attract other artists, affording the attending public a personal engagement rarely found in bigger, less colloquial spaces. By providing affordable creative spaces for emerging NYC artists in theatre, music & the visual arts, for rehearsals, performances, classes, workshops, readings, photo/video shoots & art exhibits– we strive to catalyze our dedication to research into the contemporary meaning and nature of live performance. As an artist-run facility, we understand the importance of your work and strive to maintain a respectful, beautiful & constructive atmosphere to support the community of artists we serve, and are ourselves a part of. Namaste, thank you for your interest.